Our Bavarian Tiger Eurofighter landed at Thuesday evening in perfect light. We hope to see you at the NTM 2014 in Schleswig. 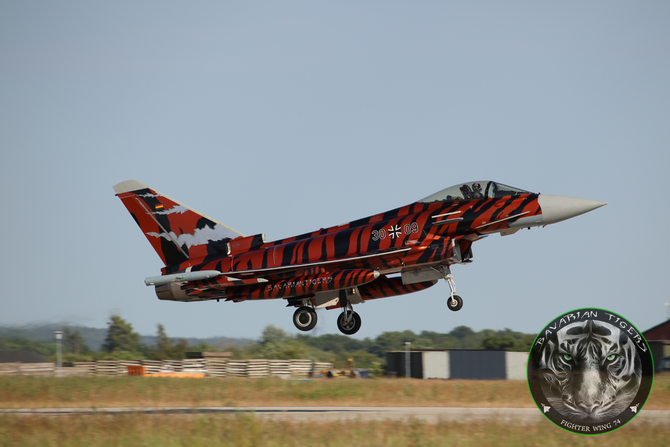 Hi, NTM2014 was my first spotterday and I loved your Bronzetiger! Thanks for this lovely scheme. I guess you have found a new supporter.